When someone says, “I’d like my wedding reception to be a desert theme, and I’d like you to help me with it” what’s the first thing that comes to your mind? 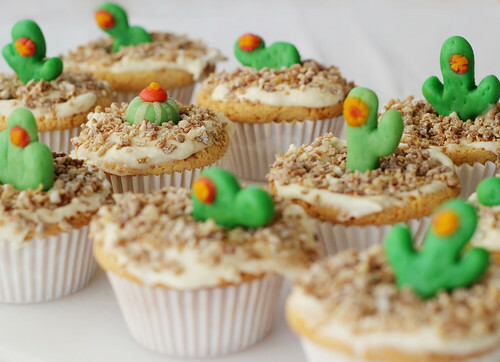 Is it CACTUS CUPCAKES? ME TOO. This winter, I experimented with marzipan for the first time. I was surprised at how easy it is to work with, and pleased by how well it took food coloring. I knew I wanted to further explore marzipan-molding for this task. While out on a fairly recent road trip to Palm Springs, I picked up a sack of crystallized date bits at Hadley’s. They had been sitting in my cupboard patiently waiting for me to find the perfect use for them. After getting the call to come up with a desert dessert, inspiration struck! 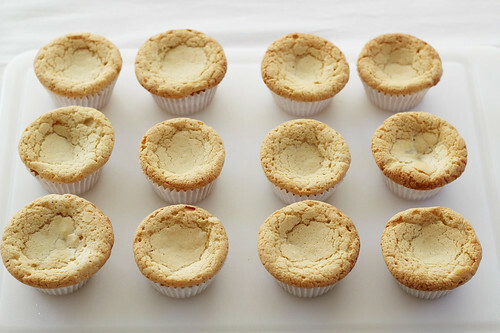 Next, I turned to the Better Homes and Garden cookbook for a tried and true cupcake recipe. In a medium bowl, stir together the flour, baking powder, and salt, and then set aside. 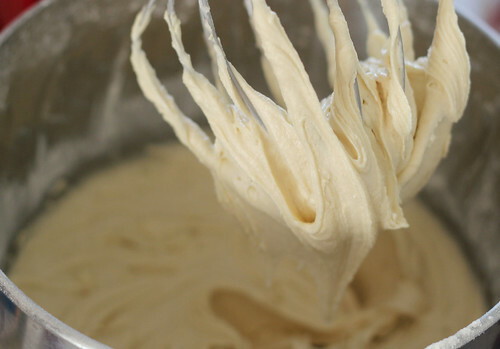 In a stand mixer with a large bowl, beat butter for 30-seconds, and gradually add the sugar (about 1/4 c. at a time.) Scrape the edges of the bowl, and beat contents until thoroughly combined. Beat in the eggs, one at a time. Beat in the vanilla, and slowly add the flour mixture until well combined. Pour into prepared pans and bake at 375 degrees for 20-25 minutes. Cool completely before frosting. Beat cream cheese, butter and vanilla in an electric mixer until light and fluffy. Gradually add sugar. 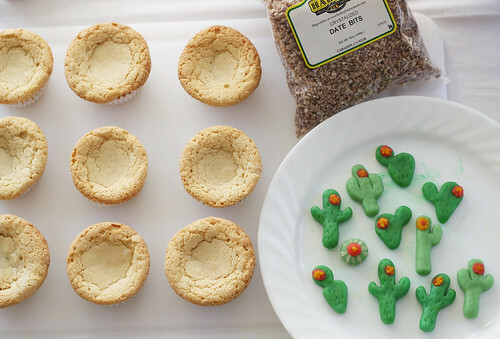 Frost all of the cupcakes, and place a marzipan cacti in the center of each. Sprinkle crystallized date bits over the wet frosting for a sandy look. 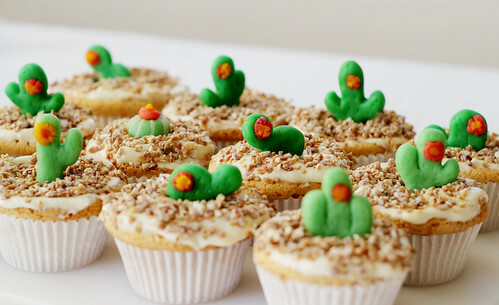 These cupcakes are ADORABLE when presented en masse, or as stand-alone desserts. 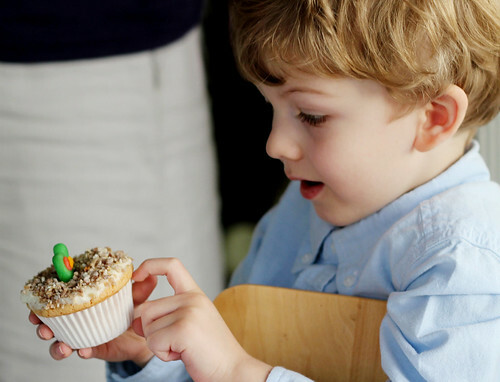 Adults love them, kids love them, and they are the PERFECT addition to any birthday party, wedding reception, baby shower, or greenhouse party! Thanks for reading! 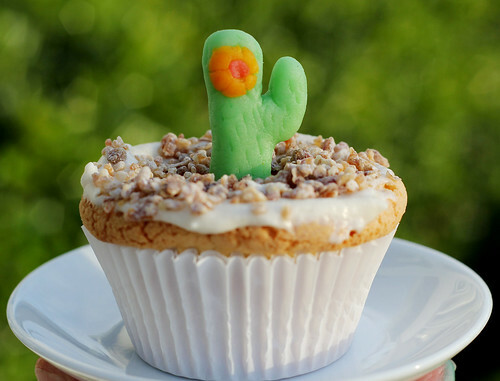 Hope you enjoyed my marzipan cactus cupcakes! What a great idea- these look fantastic! These look incredibly gorgeous and delicious. Seriously, my stomach just grumbled! These are so cute and creative! 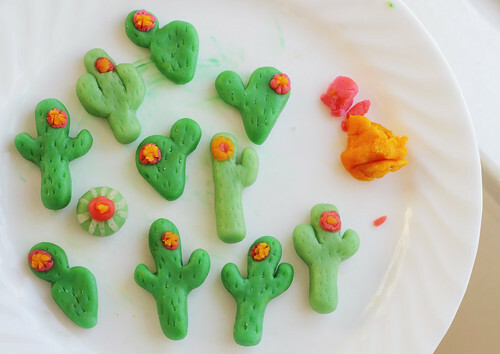 I tried these this weekend (minus the adorable cactus part) and they were delicious! My oven runs hot so they didn’t turn out gloriously golden like yours – but there’s always next time. They are very very good though. And easy! The only problem I had was, I could not get the little suckers out of the pan. (I used a cooking spray – generously.) So mine were a little mangled. 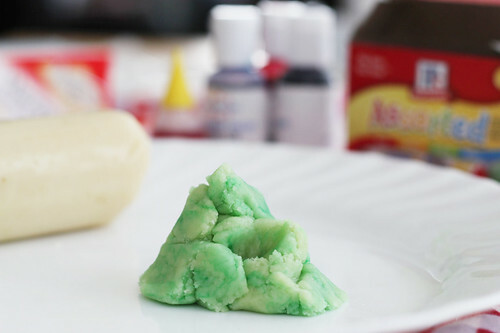 (Nothing a ton of frosting won’t fix – but I would like to make pretty ones…) Any suggestions? Glad yours were yummy! Did you use crystalized date bits on the frosting?